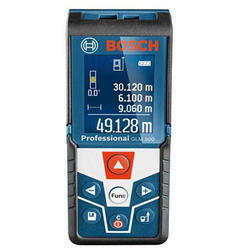 Manufacturer of a wide range of products which include horizontal dumpy levels, vicat needle test apparatus automatic recording, digital theodolite, glm100c professional laser distance meter, bosch glm 250 vf laser distance meter and bosch glm 500 50m laser distance meter. Our organization has gained recognition as a flourishing organization for providing Horizontal Dumpy Levels. The offered dumpy level is a compact and sturdy instrument delivers precise, erect image magnification 20X in all working conditions. 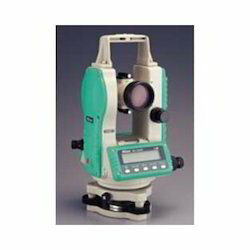 We offer this dumpy level on number of specifications as per the variegated needs of customers. 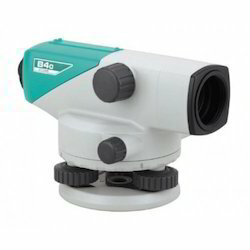 Our offered dumpy level is packed with quality material to enhance its life. 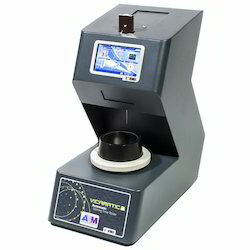 With our immense domain expertise, we are involved in offering Automatic Recording Vicat Apparatus. The offered apparatus is designed keeping in mind the standards of market using excellent quality of material. This apparatus is used from the standard use in local laboratories to the multiple use in research and central laboratories. Customers can easily avail this apparatus from us in a confine time at nominal rates. Digital theodolite south et-02pengukuran sudut mode fotolistrik deteksi oleh incremental decoder dia lingkaran (vertikal, horizontal) 79mm mode detection horizontal angle: dual; sudut vertikal: (tunggal) pengukuran unit 360o / 400gon / 6400mil (tersedia untuk memilih) levelling vial sensitivitas botol piring (/ 2mm) 30 "/ 2mm sensitivitas botol lingkaran 8 '/ 2m. Vertikal kompensasi cair sistem kerja kondensor rentang ± 3 "precision 1" optical plummet. 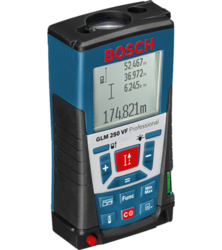 The new GLM 100 C Professional laser rangefindertransfers your measured values directly to a PC,tablet PC and smartphone: easily, quickly andwithout transfer errors.Combined with the Bosch GLM 100 C Professionalmeasurement camera app, your data can then beprocessed in a versatile way. Measuring range - 0.05 to 250m / 0.16 ft. to 820 ft. 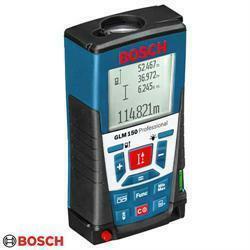 The GLM 500 Professional measures distances up to 50 meters with an accuracy of ±1.5 millimeters. It continues the successful GLM series and enhances it with new functions. 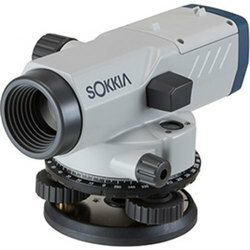 Sokkia auto level b-40A we are providing various sorts of automatic level surveying instruments with different types of magnifications. These offer supreme accuracy, reliability, are able to withstand extreme temperatures and dust. We charge competitive prices and offer 2 year warranty on these products. We check the products on various parameters and different models such as -rl-24, b 40, b 30, rl 28, rl 32 are available. Multi Crossline Laser LX 34 (Sokkia Make) The LX32 Multi Crossline laser combines high-intensity laser diodes and advanced optical technology for extreme bright laser lines. This laser comes standard with the LD601 laser detector. Only 900 gr. Typical working range of 40m and an accuracy of 1mm at 10m. Powered by 3x R6 (AA) batteries Along with Elevator Tripod (01 No. ), Detector LD601 with Rod Clamp & 9V Battery (01 No. ), Target Plate (01 No. ), Laser Glasses (01 No. ), Operators Manual (01.) 3 AA Cell. We bring forth this Sokkia Automatic Level (B40), which is largely admired by the clients for excellent quality and reliable performance even in the harsh environment. Designed with the help of technologically advanced machines and tools, this Sokkia Automatic Level ensures world- class quality and durable working life. The raw materials and components used in the production process of Sokkia Automatic Level (B40), are sourced from reliable vendors in the markets. 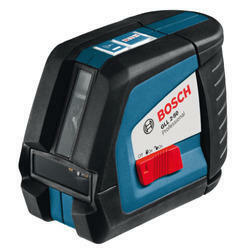 Thus, this Sokkia Automatic Level (B40) is better than any other automatic level available in the markets. With the support of our adroit professionals, we provide our clients a high quality Automatic Levels Sokkia that is better than any other automatic level available in the markets. This product is designed employing quality-proven material and high-end technology following the current market standards. Our offered product is checked on numerous parameters before supplying in the market. 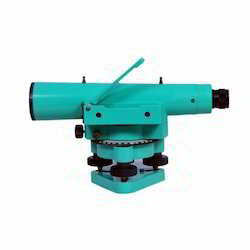 Customers can avail the offered product from us in various specifications as per their requirements. We are an incomparable name in offering a superior quality Telescopic Alidade. The offered telescopic alidade is suitable to use for the purpose of measuring height and distances with the help of angular slanting. We offer this telescopic alidade on number of specifications as per the variegated needs of customers. Our offered telescopic alidade is packed with quality material to enhance its life. 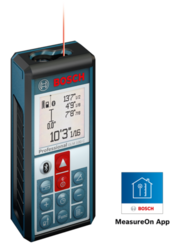 With enriched industrial experience and knowledge, we are providing an excellent range of Bosch GLM-150 Professional Laser Distance Meters to our clients. Designed with utmost precision, the offered products are manufactured using optimum quality material and advanced technology by our reliable vendors. Our offered meters are highly acknowledged for excellent design and performance. In addition to this, our products undergo various tests under the supervision of quality controllers, in order to ensure its trouble free performance. Clients can avail these products from us, at market leading rates. We are remarkable entity, engaged in offering high quality Dumpy Level. Offered dumpy level is manufactured by our professionals utilizing high grade factor inputs & leading techniques in conformity with quality standards. 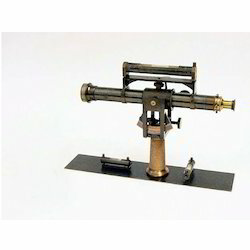 The dumpy level offered by us is well tested against assorted quality parameters in order to ensure its flawlessness. 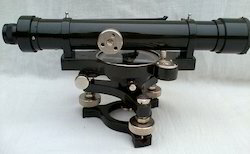 Also, clients can avail this dumpy level from us at market prices.